In the list of mailboxes disabled ones are marked with red cross opposed to enabled mailboxes having green check marks. 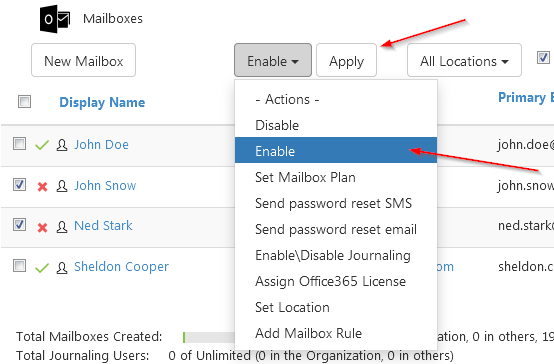 Once you found the mailbox(es) you were looking for, you have two ways to enable them. 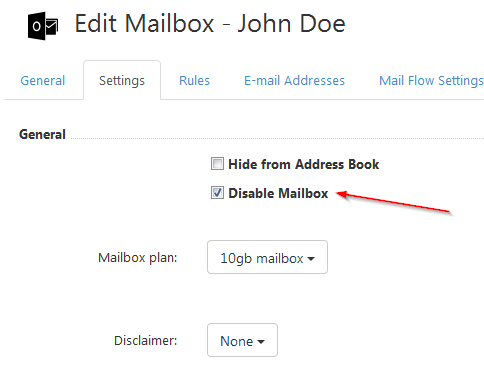 First, you can open mailbox settings page and enable it there. 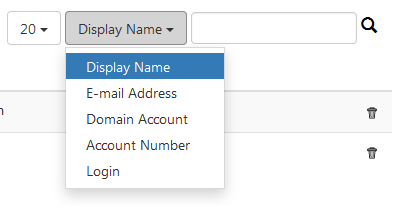 To do so, click on the Display Name in the list. Scroll down and click Save Changes or Save Changes and Exit. The former will leave you at the same page, the latter will redirect you to the list of all users. 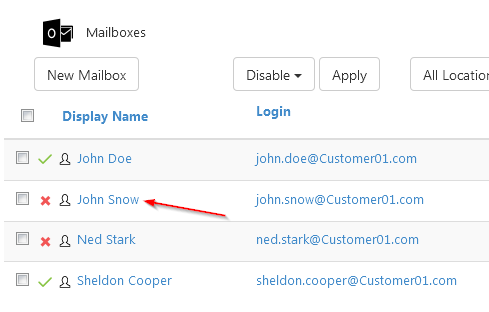 Secondly, you can perform the same action - enable one or several mailboxes - from the list of all mailboxes. Select them by checking the corresponding check-boxes in the left.